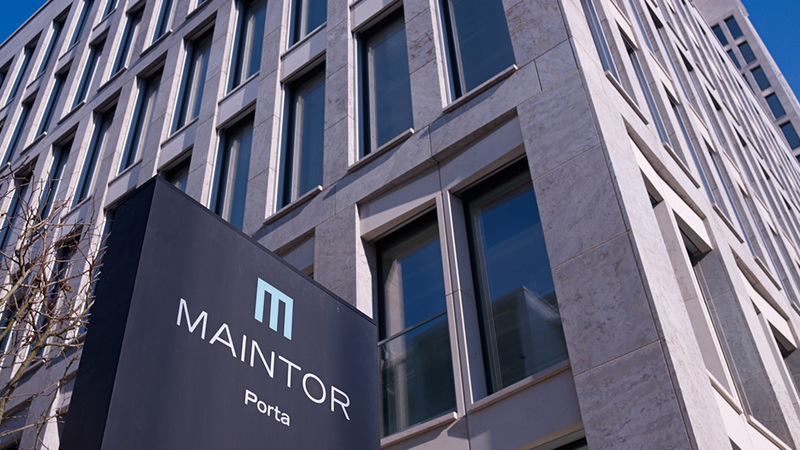 MainTor Porta connects Frankfurt’s financial district and historic centre with its famous Römer building complex and Paulskirche church. This is a truly exceptional place to work – with the city at your feet and the horizon stretching before you. MainTor Porta combines architectural quality and an ingenious layout that maximises efficiency. It is based on a design by the renowned Frankfurt-based architect Jürgen Engel. 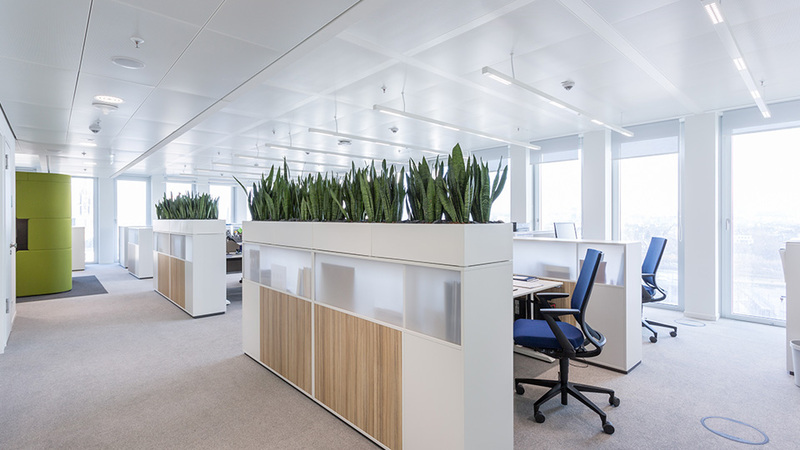 The structure comprises a striking base building on the Weissfrauenstrasse and a spectacular, approximately 70-metre high office tower. 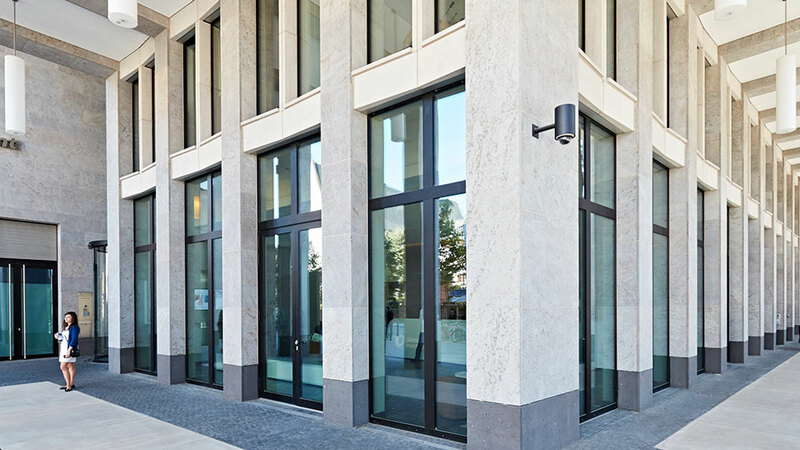 The high-quality natural stone façade ensures MainTor Porta makes an excellent first impression. 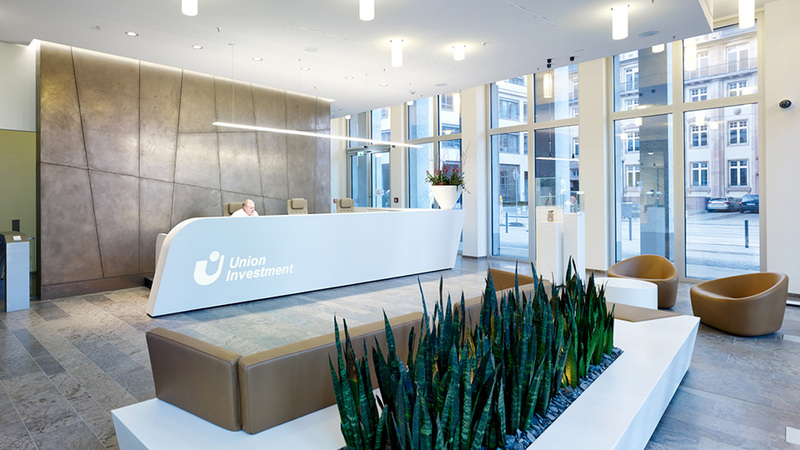 And this is confirmed inside: a generous entrance leads to a three-storey lobby with an elegant illuminated ceiling. 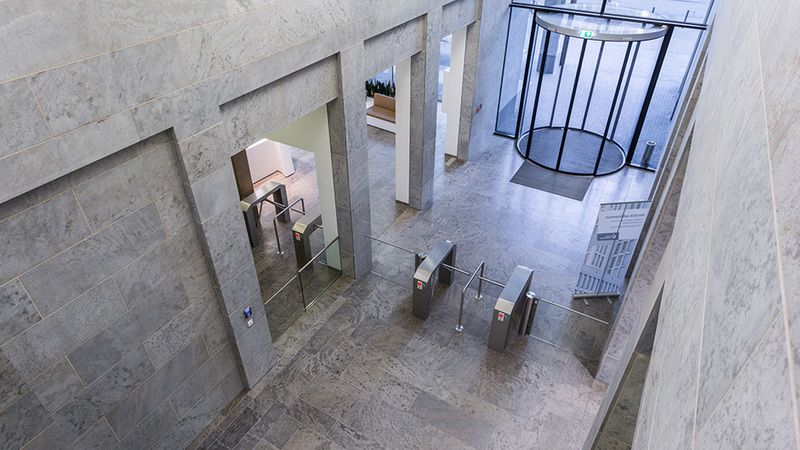 An innovative building control system manages all mechanical processes, increasing the building’s efficiency and resulting in an exemplary carbon footprint. It undercuts the German Energy Savings Regulation (ENEV) by more than 25 per cent. The flexible rental spaces in MainTor Porta are state of the art, meeting the high expectations of an international clientele. They are made to suit users’ needs – not the other way around, as in many other buildings. And from the offices, there are breathtaking views across the city.